[Dara] Byunhaeya haetni? Doraol soon eopni? Kkok bunhaeya haetni? Dorawajul soon eopni? Byunhaeya haetni? Doraol soon eopni? Wae byunhaeya hani? Gyesok saranghal soon eopni? We truly loved each other, can't turn back? Am I no longer in your heart now? [Bom] Are we already too late? Is our love over? [Dara] Are you that shocked? 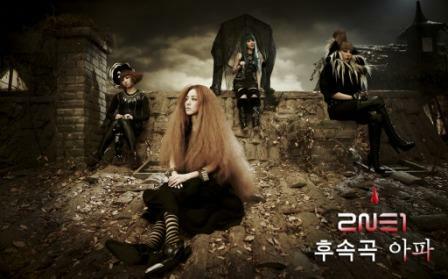 [Dara] Did you have to change? Did you really have to change? Did you have to change? Can't you keep loving me? [Bom] Oh, is this the end?